The strength of communities is the knowledge and experience that can be shared with each other. 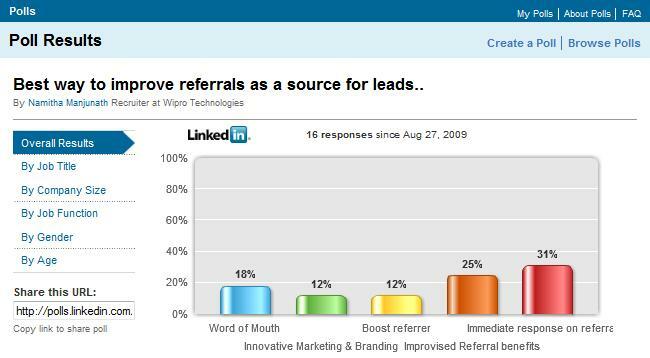 With LinkedIn Polls you can easily tap into ‘the wisdom of crowds’ and start a poll for free. 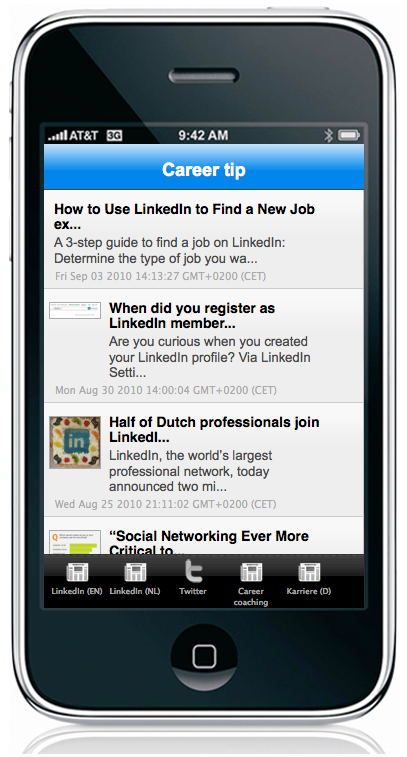 Polls can be shared with your LinkedIn network and on Facebook or Twitter. LinkedIn Polls can be found in the Applications sidebar (via top-menu More – Your Applications). You can create up to 10 free polls at a time on LinkedIn to survey other members. Be as brief as possible with your questions and answers. Shorter, well-written questions generally have higher response rates. Avoid overlapping ranges and values in your answers. And think about adding “None of these” or “other” as an option, in case the other answers don’t apply. Construct your questions and answers carefully. Avoid spelling and grammar errors. Don’t use excessive punctuation and symbols that may confuse your readers. The only format available for polls is a single question with up to five answers. Please also note that it’s not allowed to publish self-promotional polls (e.g. “How much do you like my company?”). Go to More at the top of your home page and select Polls. Click Create a new poll on the left. Enter your poll question in the Ask a question field. Specify up to five answer choices. If you want, click on the box to “Display the answers in random order”. Choose where you want to share your poll.